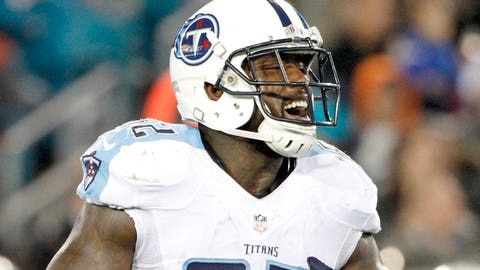 Laid back is fine, but Delanie Walker would like a little more noise from the hometown crowd. As the Titans prepare for the final game of their four-game homestand Sunday, tight end Delanie Walker said the number of noisy fans supporting the opposition in recent weeks is a major disappointment. Both Buffalo and Miami had large, visible, and vocal cheering sections in Nissan Stadium the last two weeks, causing Walker to take notice. Walker, in his third year with the Titans, said the opposition-friendly atmosphere at Nissan Stadium is unlike anything he dealt with in his first seven seasons with the San Francisco 49ers. “I’ve been in the league for 10 seasons, and I never experienced that until I got to Tennessee,” Walker said. “Never seen it. If you do that in San Francisco stadium you’re getting stabbed, beat up. I’m not promoting violence. It just never would happen. Titans fans will have another shot to support the home team against the Atlanta Falcons.